Blog Hoppin': Show Us What You Bought Linky! Show Us What You Bought Linky! Did you SCORE some great deals at during the Super Sunday Sale!? 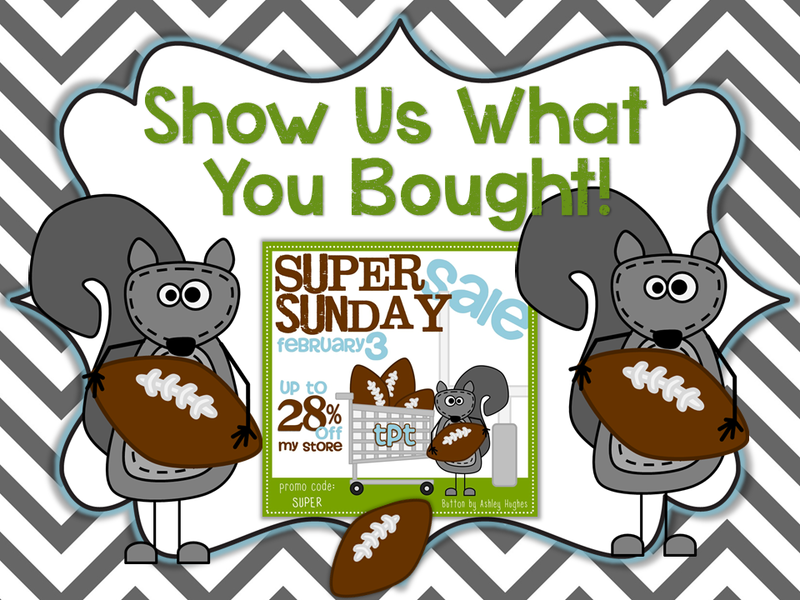 We'd love to see your incredible finds... deals we shouldn't PASS by! I know that I always end up adding more items to my cart! Simply link up with a blog post showcasing your purchases. Please be sure to use a direct link to your post and back to this specific post on Blog Hoppin'. THANKS! OK... Show Us What You Bought!! What a fun idea! I bought 10 great items on Sunday and I tell about each of them in my post. So excited to get all these great things on sale days! Hey girls! I am trying to delete/fix my little picture that just posted. Not sure why it did that. Is there any way you could delete my link and allow me to re-link up? Celebrate Reading! It's a Quick Giveaway!!! Hip Hip Hooray--It's Our 100th Day!